Tripfez, a new travel review and booking site dedicated to the fast-growing Muslim travel sector, has officially launched worldwide. The unique portal features a portfolio of 200,000 hotels and resorts globally, more than 20,000 of which have been classified halal-friendly by sister company Salam Standard, the innovative reference tool for Muslims seeking accommodation that adheres to Islamic principles. Tripfez and Salam Standard are the brainchild of founder & CEO, Faeez Fadhlillah, a Malaysian entrepreneur who has identified a gap in the market to provide the world’s 1.7 billion-plus Muslims with halal-friendly travel options online or as he describes it, “the promise of a blessed journey”. Globally, Muslims spent more than US$142 billion on travel in 2014, accounting for 11% of total global travel expenditure, according to The State of the Global Islamic Economy Report 2015-2016, developed by Thomson Reuters in collaboration with DinarStandard. “This figure is predicted to rise to $233 billion or 13% of total travel expenditure by 2020. Yet it’s a market that is currently underserved by the travel and hospitality industry,” says Fadhlillah. “Tripfez fills this void, providing a one-stop-shop for travellers seeking Muslim-friendly hotels and resorts, and also complements the information provided by other travel review and booking portals like TripAdvisor. 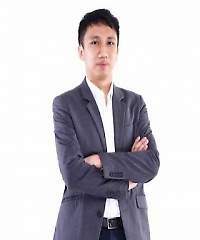 Fadhllillah’s efforts to pioneer new online solutions for the halal travel sector have been recognised by renowned business publication Forbes, which recently named him one of the most influential entrepreneurs in Asia. The 29-year-old was one of 300 young innovators and leaders under the age of 30 featured in the publication’s first-ever ‘30 Under 30 Asia’ list, which highlighted entrepreneurs transforming 10 sectors including business, technology, industry, media and culture, judged by acclaimed individuals in each category. Is there a forum on Muslim-friendly hotels? Need budget Muslim-friendly accommodations nearest to train/subyay snd affordable/cheap Halal eateries in Guangzhou, London, Istanbul. You will need to visit sites like zabiha.com for restaurants. You can check with Trip Advisor for Muslim friendly, not sure if they have a category. Crescentrating.com does hotels but they will not normally be budget ones, you can check.